The latest edition of The Wrestling Observer Newsletter (via Rajah) reports that WWE officials have talked to several wrestlers who have contracts coming up and asked them to re-sign new long term deals. It’s believed that the recent news that Dean Ambrose will be done with WWE in April was the reason for this push, as WWE wants to try and “quell” the talk of talent wanting out of the company. They have also promised a renewed focus on the tag team division and are giving unhappy talent pushes. Officials are also reportedly increasing the pay of anyone who signs new deals. 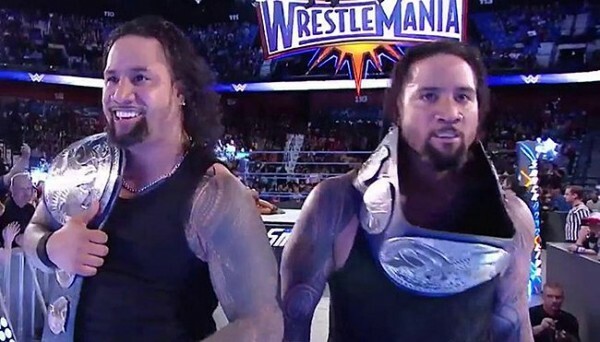 The Usos are reportedly one of the acts that WWE is trying to re-sign, as they have deals set to expire in April.